The suspected Santa Fe high-school shooter cannot be sentenced to death or life in prison without possibility of parole. That's because the suspect is just 17 years old. Two recent Supreme Court rulings have found it unconstitutional to impose death or mandatory life sentences on defendants who are under the age of 18. 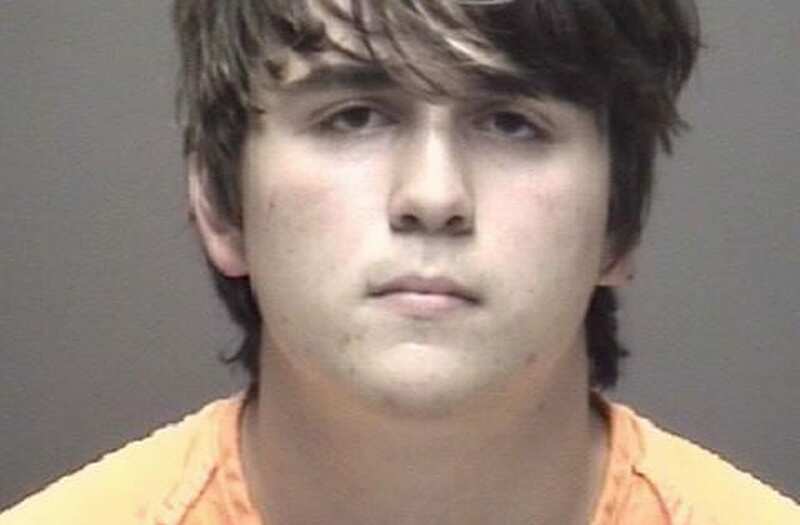 The teenager who allegedly gunned down 10 of his high-school classmates and teachers in a grisly rampage in Santa Fe, Texas, on Friday will never get the death penalty or a mandatory life sentence. Though the suspected shooter, Dimitrios Pagourtzis, has confessed to the massacre and potentially faces charges from both local and federal prosecutors, the maximum sentence he's eligible to receive is a life sentence with parole eligibility after 40 years. The reason is Pagourtzis' young age. He is just 17 years old, and two major Supreme Court decisions within the last two decades have ruled it unconstitutional to sentence a defendant to death, or impose mandatory life sentences if he or she was under 18 at the time of the crime. Cynthia's brother-in-law posted on Facebook that she "planned on one day retiring and being a full-time grandmother." Shana Fisher’s aunt Candi Thurman confirmed on Twitter her niece didn’t survive the shooting. The family of Kyle McLeod, a student at Santa Fe High School, confirmed to ABC News that the young man was killed during the shooting. Kim Vaughn’s mother, Rhonda Hart, said in a Facebook post earlier Friday that her daughter was in first-period art class at the time of the shooting. Her family later confirmed to ABC News that she had died. Jared Black had just turned 17 the week he was killed. His birthday party had been planned for Saturday, but now his parents must make arrangements for his funeral. Substitute teacher Ann Perkins was one of two adults killed in the shooting. She was often affectionately referred to as “Grandma Perkins,” CBS Dallas-Fort Worth reported. Christian Garcia, 15, loved riding Jet Skis and night fishing with his family, The Washington Post reported. The first major ruling came in 2005, in the Roper v. Simmons case. The justices ruled in a 5-4 decision that sentencing a person under 18 years of age to death violated the Constitution's Eighth Amendment against inflicting "cruel and unusual punishments." The opinion, written by Justice Anthony Kennedy, held that people under 18 cannot truly be "classified among the worst offenders," because research has shown that their maturity, decision-making skills, and characters are all underdeveloped and leave them prone to "reckless behavior" and "impetuous and ill-considered actions and decisions." The second major decision came in the 2012 Miller v. Alabama case, which ruled that juvenile offenders cannot be sentenced to life in prison without possibility for parole. The justices' reasoning was much the same as it was for Roper v. Simmons — they ruled that mandatory life sentences are unconstitutionally too harsh of punishments for children. "By making youth (and all that accompanies it) irrelevant to imposition of that harshest prison sentence, such a scheme poses too great a risk of disproportionate punishment," Justice Elena Kagan wrote in the majority opinion. But even with those two rulings, it's possible Pagourtzis could remain in prison for the rest of his life if he's convicted. It would eventually be up to a parole board to decide if he could successfully reintegrate into society. Pagourtzis is currently being held without bond at the Galveston County Jail on charges of capital murder and aggravated assault on a peace officer.